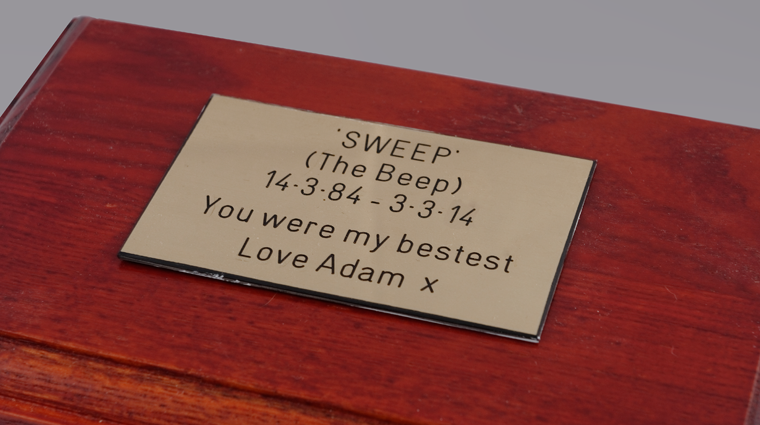 We are able to engrave a variety of plates with the inscription of your choice. These can be mounted onto a casket or left loose. Please contact John or Rita for further details. We have a selection of wall mountable picture frames with hidden pet ashes casket. 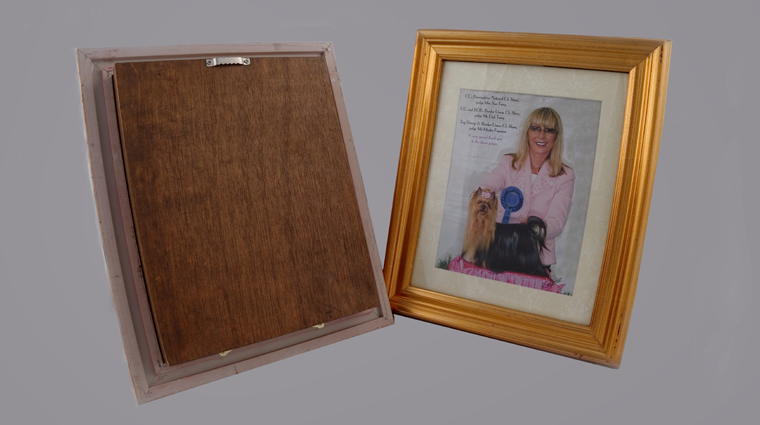 The discreet ash casket is hidden behind the picture frame, allowing you to place favourite pictures of your pet. The single frames can be used with both landscape and portrait photographs. 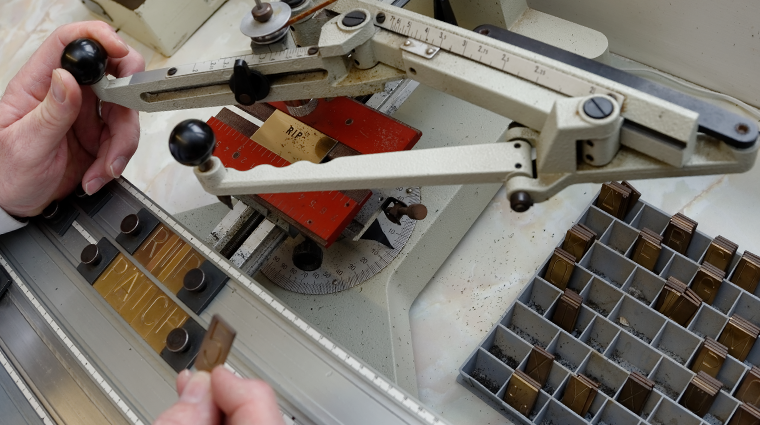 All frames are made from sustainable resources. If you collect the item from us we can home your pet’s ashes into the casket whilst you wait. Please call Rita of John for more information. 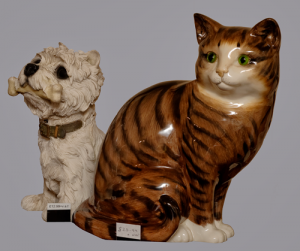 We have a constantly changing supply of unique urns suitable for your pet’s ashes. These are individual items and so you will have the opportunity to buy a bespoke item for your pet. 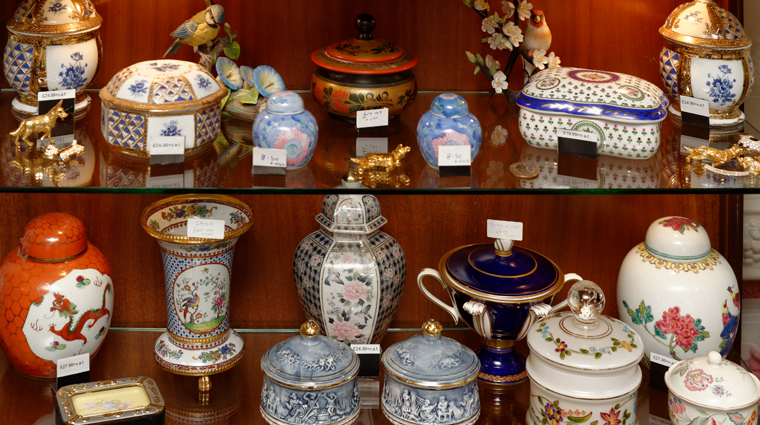 We try to avoid mass produced items from commercial suppliers, unfortunately this means the items illustrated may have been sold, but we always hold an excellent variety of stock. Please call Rita or John for more information. 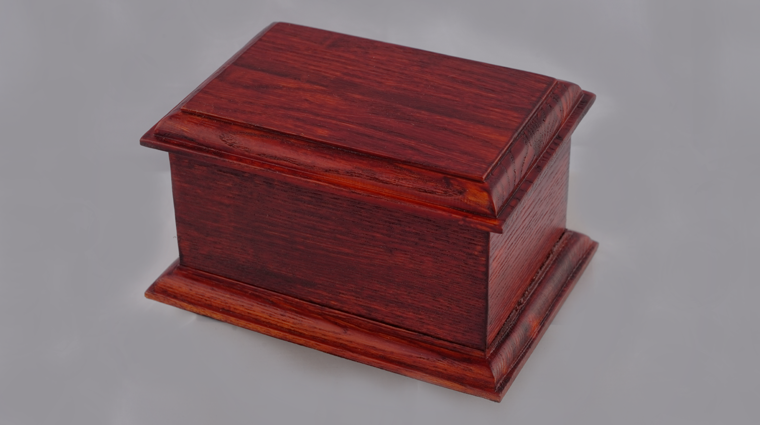 Your pet’s ashes can be returned to you in a hardwood casket which is ideal for indoor use. These caskets come in a variety of sizes with base feet. We can add an engraved plaque as shown in the smaller image. 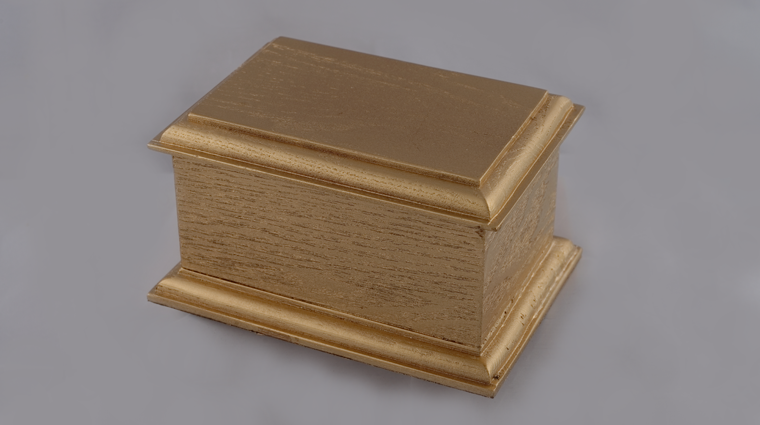 Your pet’s ashes can be returned to you in a gold finished hardwood casket which is ideal for use indoors. 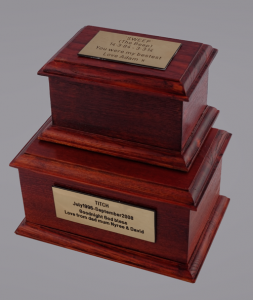 These caskets come with base feet and we can add an engraved plaque if required. We stock a variety of sizes.